If you’re about to have an important interview, you want to make sure you put your best foot forward. 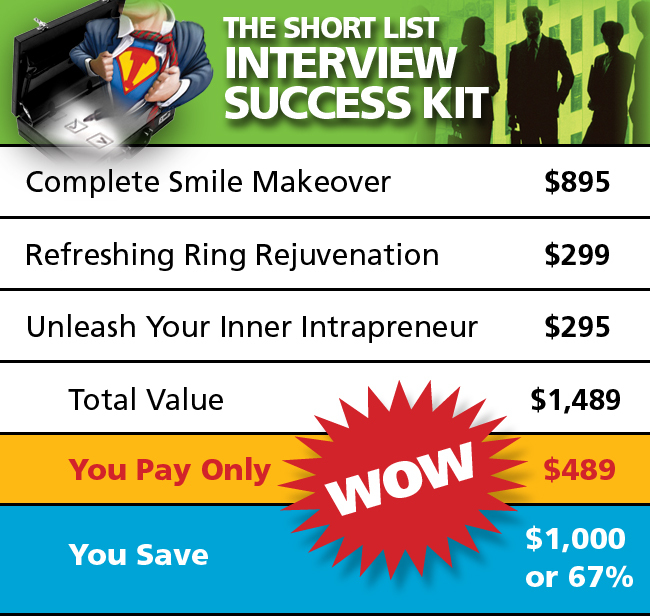 It’s not enough just to follow the Top 10 Job Interview Tips… You need The Short List Interview Success Kit! These hand-picked components have been assembled to give you the edge the next time you step into the interview room, so you get the job offer you want and deserve. Competition for jobs has never been hotter. It is not unheard of to have 100+ candidates apply for a job and for more than half of them to be fully qualified. Even for senior management C-level roles, the number of candidates is in the dozens. The key is to get on the short list and then get the job offer. Easier said than done. The process is one of ELIMINATION before it ever gets to SELECTION. That means search consultants and HR people are LOOKING to disqualify you so they can focus their time, effort and energy on the short list. The short list – where the process starts. The short list – where only a small number of candidates are considered for the role. The short list – where you need to be if you’re going to cherry pick the best opportunities for your career advancement. That’s what The Short List Interview Success Kit is all about. Each component is designed to give you an advantage over the other candidates so you (1) get on the short list and (2) nail the interview to get the role, promotion or job. Let’s face it, searching for a job is never fun, but it is a necessary right of passage. It’s a lonely experience that challenges your self worth and confidence because every time you sit in front of an interviewer or search consultant, you’re being judged, evaluated and assessed – SUPERFICIALLY. It’s often demeaning and sometimes upsetting to know you’re just not connecting and building rapport with the ‘gatekeeper’ to the job or position of your dreams. This kit has been created to help you cross the chasm of nervousness and give you an advantage, a vote of confidence you need to project yourself at your very best. Take the time to read each component description. We know you have access to a lot of information on the Internet and with that information overload it’s hard to filter what’s relevant and what’s not. Read through the page, especially the real life examples at the bottom of the page. Job hunters like you who adopted this mindset and the difference it made to their careers and lives. The hardest thing about searching for a job – even if you are currently working is to put yourself out there. It’s acknowledged that search for work is one of the most stressful events in a person’s life, which is why most employees avoid it as much as possible, often to their own detriment – staying on to a dead-end job for too long. The one mistake you want to avoid is cutting corners and selling yourself short. You job search is critically important. It can make or break your career. 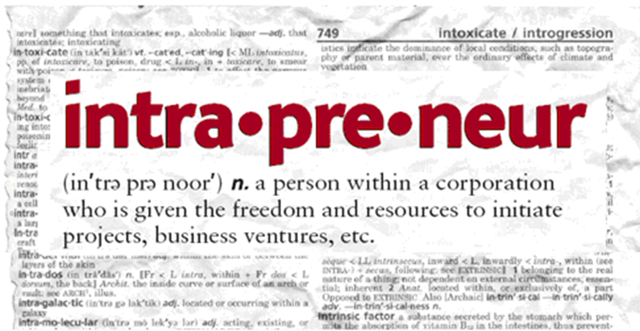 It can put you on the fast track or knock you completely out of contention. You are at your most fragile and vulnerable (especially if you are currently not working). That’s why you need to have self-belief because it all starts with you. Believe in yourself and image the difference these components can make. If you’re feeling a little down, just think of it this way. How would you feel sitting next to someone who bought this kit? He/she would have the bright smile people warm up to. His/her jewellery (including men) is polished and he/she has the tools to nail the interview and handle the tough interview questions, well beyond the average candidate’s responses. That person gets the nod and makes the short list on the path to a job offer. We want YOU to be that person – the person who gets on the short list and gets the job offer so you can pick and choose from the best positions and opportunities available. We’ve helped many others – the question is – will you do it for yourself? You don’t want to take any risks with over-the-counter teeth bleaching solutions that may damage your smile –permanently. You want to sit in the dentist chair for a professional, safe and thorough cleaning that will give you the confidence you need for your big day, when you land your ideal job or promotion! Offered by Sydney’s premier dentist, Dr Cary Fraser, you will be taken care of by one of the few dentists that also performs orthodontics (straightens teeth). In fact, Cary has taught many Australian dentists their craft! That means you’ll be in expert hands! What Dr Fraser will perform is a ‘dentist grade’ cleaning, removing all the tartar build up on your teeth – this residue doesn’t come off with regular brushing or flossing. It’s what gives you that ultra-smooth feeling afterwards, like your teeth are brand new shiny pearls! This is important because we all know the FIRST impression you make is important and is ultimately important in the job interview ELIMINATION process! You don’t want to be eliminated from the selection process just because your teeth aren’t the cleanest and whitest they can be. Of course no one will tell you they’ve eliminated you for poor oral hygiene – they might not even realise it themselves… It doesn’t matter, if it happens, you’re out of the running. That’s what we want to avoid! Following the thorough cleaning, if appropriate and necessary, Dr Fraser will apply safe and effective teeth whitening to maximise the brightness of your smile, to give you that added radiance you need to make that first impression count. But here’s the thing – your teeth may not be able to ‘beam’ like a flashlight, but it’s important to at least remove the dullness that may have accumulated over the years. Dullness due to coffee or tea, red wine and/or smoking. You don’t get a second chance to make your impression on the interviewer. This is the ONE chance you get. That’s why this smile makeover is so important. It’s also why you don’t want to take any chances with over-the-counter products that could discolour your teeth. Valued At $895 This session will take up only 1.5 hours of your time. 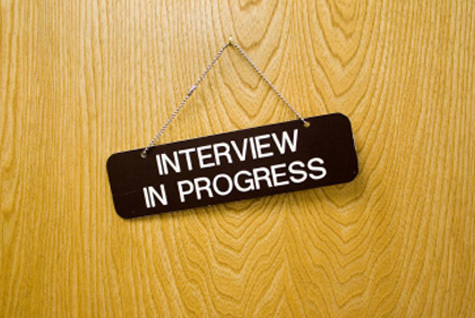 Schedule it as soon as you can so you maximise its impact on as many interviews as possible! Most people don’t realise that every piece of jewellery – even the most expensive – ages and degenerates with time. Everyday activities can damage your jewellery. It doesn’t take a hard bump to damage the claw or setting and leave your diamond or gemstone exposed to chipping, breaking or falling out. Just take a look at these before and after images. You can instantly SEE the difference. Your ring(s) and/or cufflinks also need to be looking their best. Interviews are nerveracking because you’re under the microscope! As you sit there, facing your interviewer, you spent considerable time observing each other with glances at their teeth, clothes and jewellery. Each glance creates and then CONFIRMS an impression. Positive, neutral or poor. You want to make sure you make a positive impression – by having your jewellery in tip top shape. It doesn’t mean you go all decked out with your entire family’s jewellery collection draped around you, but that you select those special items most appropriate to the occasion AND ensure each piece is ‘refreshed’ to look its very best. 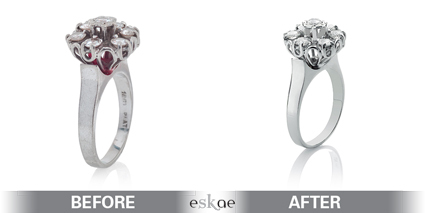 When you book your Eskae Jeweller’s Refreshing Ring Rejuvenation, a full and thorough examination of your jewellery will be performed to ensure your diamonds and gemstones look their absolute best. The beadwork on your ring is correct and full. The bezel edge is safe and secure with enough metal over the diamond/gemstone. The setting edge is securing enough of the diamond/gemstone. There are NO chips, scratches, breaks or cleaves in the diamonds/gemstones. The claws or setting edges are all in place and are not bent out of shape. There is not too much wear on any of the exposed metal holding the diamond/gemstone in place. Your jewellery is checked for damaged or loose diamonds and gemstones. Your jewellery is professionally cleaned and polished so it looks like NEW again. ALL scratches and marks on your jewellery are removed. 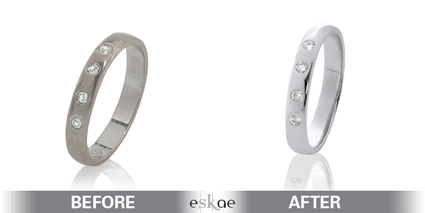 The white gold sections are re-rhodium plated to give your white gold a more brilliant lustre and hue. Get PRICELESS Peace of Mind! You’ll enjoy peace of mind knowing that your diamonds and gemstones are safe AND secure in their settings and that they are giving you the very best impression on this all-important day. 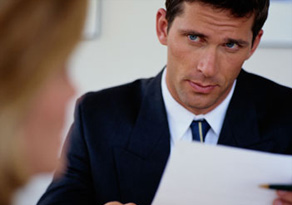 Let’s face it, a job interview is one of the most stressful events you go through. With a little planning, you can get your jewellery refreshed so you have ONE LESS THING TO WORRY ABOUT. That’s the whole point of The Short List Interview Success Kit – to give you the edge against your ‘competition’. Every little bit counts if only to give you the confidence and self-assurance you need. With The Short List Interview Success Kit, you can have up to 3 jewellery items of your choice rejuvenated – this includes men’s rings, chains and bracelets. This is your ace-in-the-hole, your secret weapon to ‘nail the interview cold’. It’s a hand-picked collection of strategies that you can deploy in your first 100 days on the job, the most important time to make a statement and stake your claim to the career fast track. Subtle, but massively effective, this collection of professional development strategies are guaranteed to have you running up the ladder of success two rungs at a time. One of the strategies I am going to teach you is how to pre-eminently position yourself as a leader, a person who thinks ahead of the curve, like HOW you will take on this new role, position and responsibilities. The strategies are generic enough to apply to any environment yet uniquely powerful to make you stand out head and shoulder above the other candidates applying for the role. One of the ways you do that DURING the interview is have 2 or 3 ideas ready to present at the interview. Creative ideas and suggestions that set you apart from the other candidates. When I was headhunted by the world’s #1 search firm, Korn Ferry, I researched an entire industry, documented and printed it all in THREE separate 4-inch thick, 3-ring binders that I brought with me to the short list interview. I had done more market research than the company had collected in the 10 years it had been operating here in Australia! Not every role commands that level of investment, that’s not the point. EVERY interview requires appropriate preparation and that’s what this special collection of strategies will give you. A source of ideas no one else will think of. A quick and easy way for you to stand out as the best candidate. A methodology for you to prepare quickly for your interview so you are ready to answer more than just the standard interview questions. The confidence to speak with authority and assurance that not only shows you want the role, but that you know how you will contribute to the company’s success. The differentiation necessary to get the salary and pay package you really want and deserve. Not getting on the short list in the first place. Ever wonder how the short list gets created? Simple – QUICK, first impressions. If you do get ON the short list, now the competition between candidates gets hotter than ever. Looks do matter, but you also need substance. It’s up to you – go it alone or stack the odds in your favour. I graduated with an Engineering Degree in Montreal, Canada in 1985, at the lowest point in the engineering hiring cycle in over two decades. It was so bad, the government subsidised jobs for engineers who couldn’t get a job to make sure they didn’t leave the profession. FACT: I made $26,000 in 1986, my first year out of school. My classmates, on average made $18,000 and the government funding program paid a dismal $13,000/year. That means I made DOUBLE the worst case scenario and 44% more than my average fellow classmate. FACT: I had 26 job interviews when my classmates were struggling to get one or two. FACT: I refused 3 solid job offers and declined continuing discussions with 5 other potential employers. FACT: I got paid MORE with a Bachelor’s Degree than Masters Graduates were being offered. I revealed the principles included in The Short List Interview Success Kit to a personal friend who was, at the time, working for a government agency making $60,000/year. That was a pretty good income in the 1990s. FACT: Using the strategies I’m going to teach you, within 12 months, he was making over $100,000. FACT: Within the next 3 years his income sky rocketed to over $200,000+. That’s 4 times more in just a few short years. FACT: He is now mortgage free and was financially independent by age 50. A third friend was a student, single, struggling, making $8,000/year as a part-time temp employee, taking 1 course/semester (Getting Cs and Bs) and struggling to make the rent each month. FACT: Within a year, she tripled her income to $25,000, lost 10 Kgs, got into a serious relationship and TRIPLED the number of courses she took AND started to get As and Bs! FACT: Using the strategies I will share with you, within the following year, upon graduation, she was making $60,000+ completing her degree in half the time and working doing what she loved – graphic design. This was in the 1990s which in today’s dollars is well over $100,000. Did I mention she was 19 years old when she graduated from Junior College? FACT: She went from 1 or 2 interviews in a week to a whopping 27! FACT: She not only got past second interviews, she had 3 temp jobs while she was searching for the ideal job that emerged within 30 days. FACT: She landed her ideal job that set her on course for the next 3 positions that quickly propelled her to do a 1 year stint in Asia, which she had always dreamed of – all before she turned 30! There are two things to notice in these examples. First I’ve been doing this for my inner circle of friends for the past 20 years. I now offer these techniques and strategies to a select group of clients. 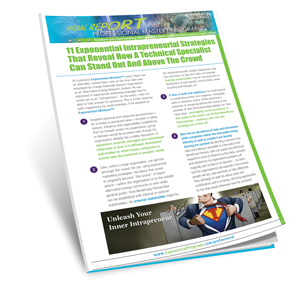 This is your opportunity to sample them in a low-cost, high-reward proposition. Second, each case is different illustrating what can be done in the WORST of circumstances which mean they work even better in good times. 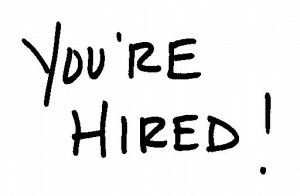 So there you have it – all the reasons and proof you need to make your next series of interviews – CAREER CHANGING! The job search process is a stressful and lonely experience. You feel vulnerable and fragile. The components of this kit are specially designed to give you what you need to put your best foot forward. Competition amongst candidates is tougher than ever. Search consultants and HR people have to eliminate people BEFORE they can start selecting the candidates they want to have working for them. That is the primary approach – to make sure you get on the short list, hence the name of the package. The 3rd component is the most valuable – it reveals how you can go from the short list to the chosen candidate that they want. The candidate they make an offer to. The candidate they don’t want to slip away. When the tables turn and the employer is chasing you, you are in the driver’s seat. In command of your career. In control of your destiny. Don’t leave it up to chance. This kit is a limited-time-offer, created for promotional purposes. It won’t last forever and let’s face it – you’re in the middle of your job search right now. Make the most of it. Make this small investment in yourself, after all it’s all upside. You can’t even get your teeth cleaned and whitened for the price of this promotional offer. If you don’t think you’re worth the investment, your next interviewer will agree with you, confirming it by NOT putting you on the short list. When that happens, it’ll be too late. 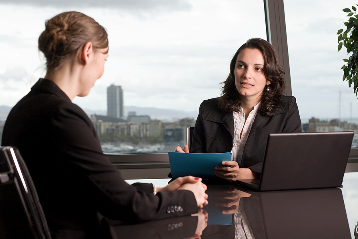 Make the investment in yourself now – BEFORE your next interview. Psst! Don’t forget the secret bonus mentioned in Example #4. I’ll share the 3 strategies with you IF you’re one of the first 20 people to buy the kit. Terms and conditions: This incredible offer is only available to new clients of Exponential Programs, Eskae Jeweller and Bay Dental + Orthodontics via select marketing advertising channels.